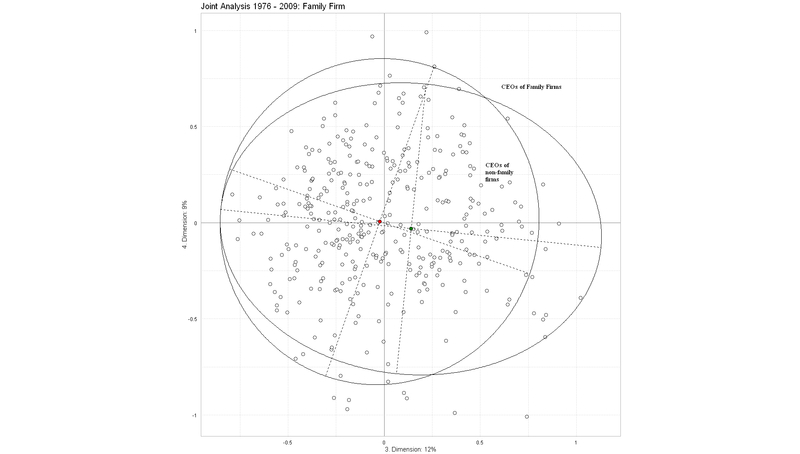 Plane of axes 1 and 2, 1976. 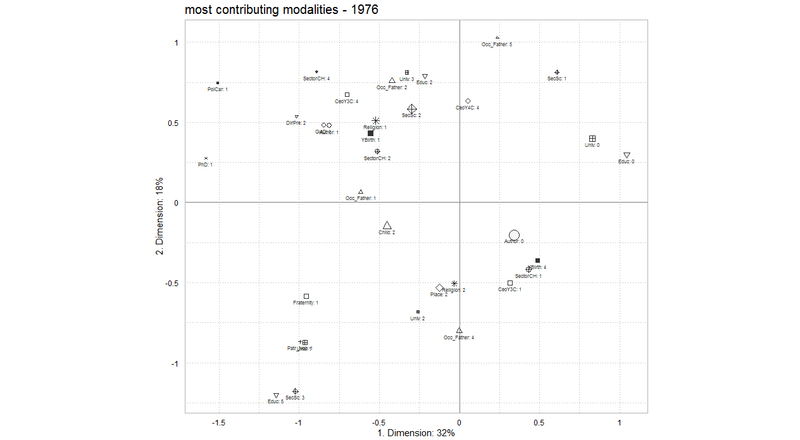 Only the modalities with an above average contribution are shown. Plane of axes 3 and 4. 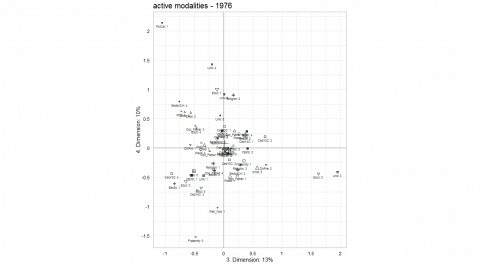 All active modalities are shown. 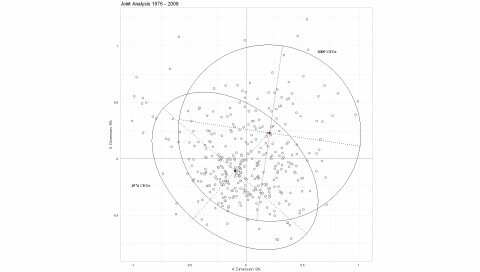 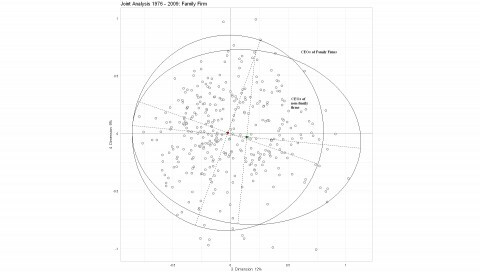 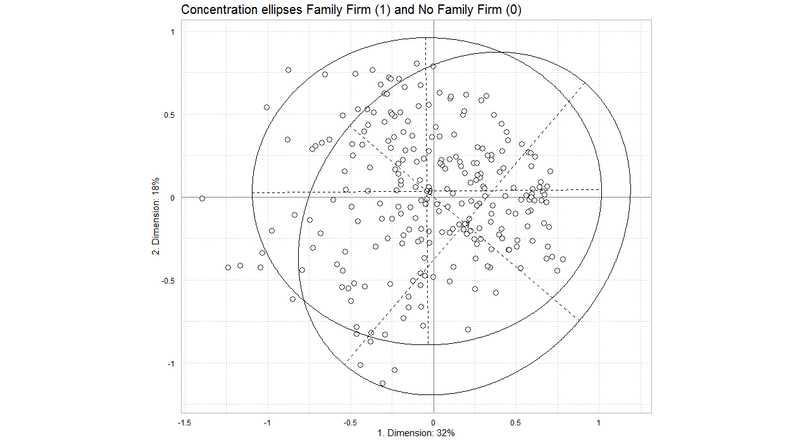 Concentration ellipses of the 1976 CEOs of family firms (1) and no family firms (0) in the plane of axes 1 and 2. 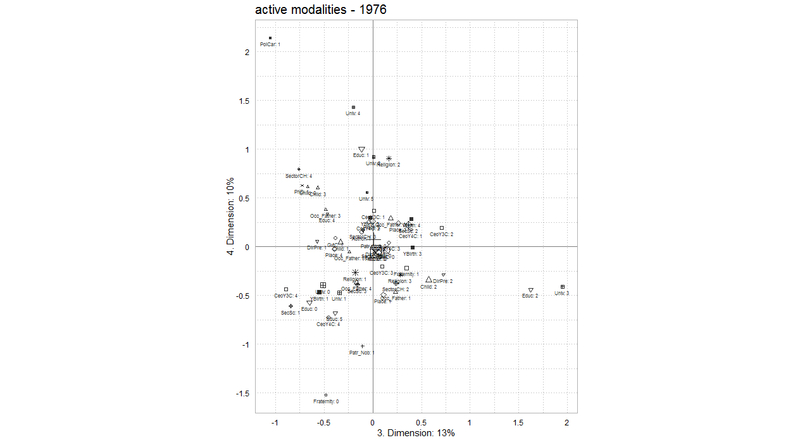 Number of sector changes of individuals in 1976 in the plane of axes 3 and 4. 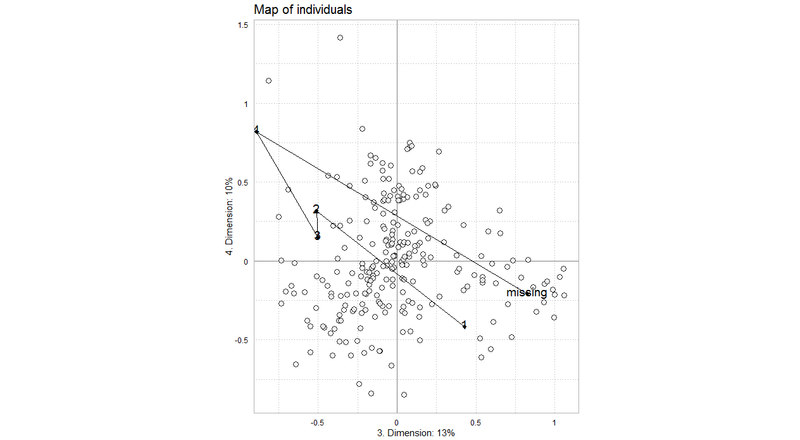 1=lowest amount of changes, 4=highest. 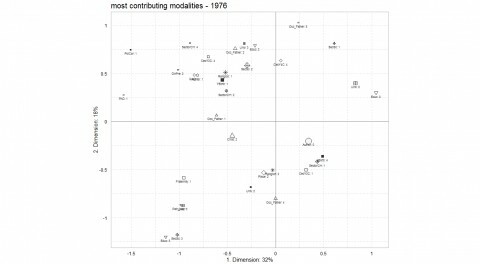 Birth cohorts of individuals in 1976 in the plane of axes 3 and 4. 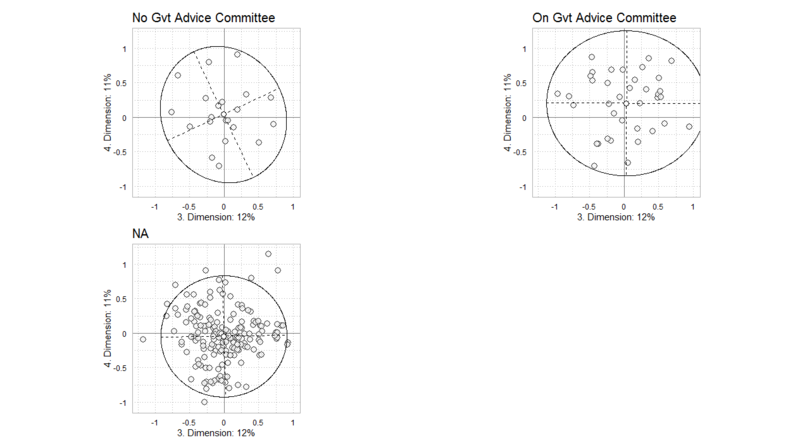 1=oldest cohort, 4=youngest cohort. 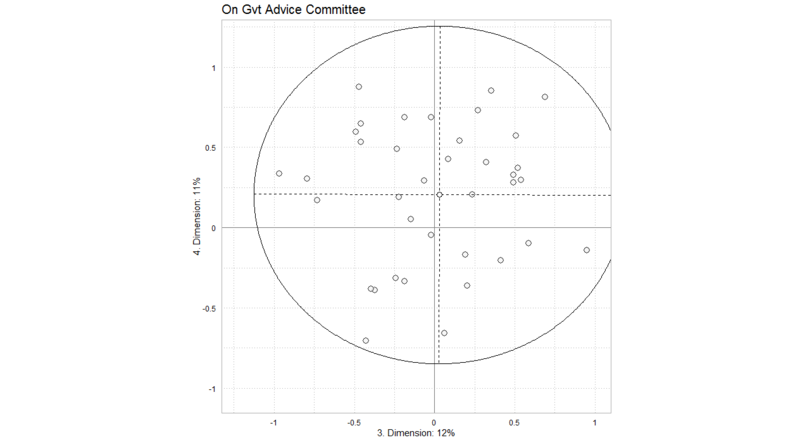 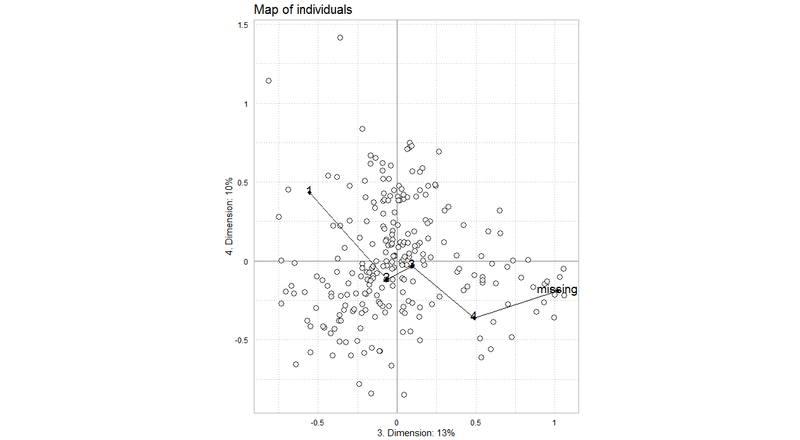 Subclouds of individuals based on membership of a governmental advice committee in 1976 in the plane of axes 3 and 4. 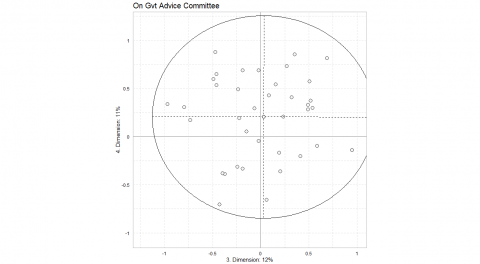 Subcloud of individuals who were members of a governmental advisory committee in 1976 in the plane of axes 3 and 4. 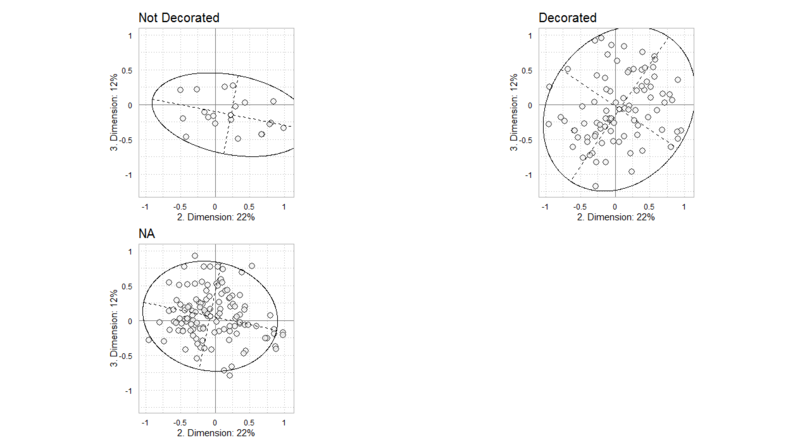 Subclouds of individuals based on having received a decoration in or before 1976 in the plane of axes 2 and 3. 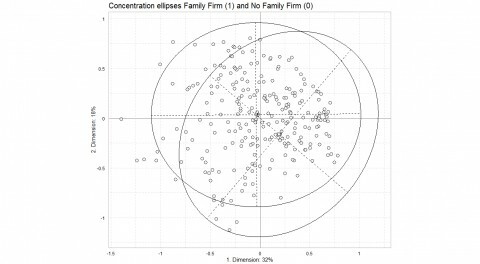 Concentration ellipses of the Family Firm CEOs in the plane of axes 3 and 4. Joint analysis of all individuals. 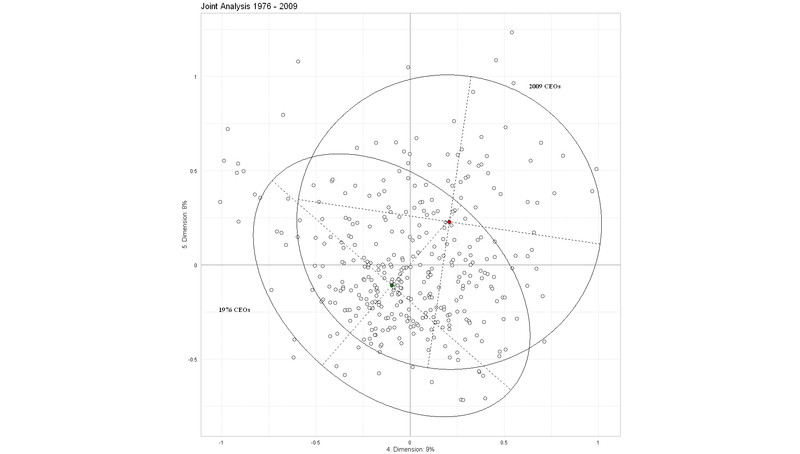 Concentration ellipses of the 1976 and 2009 cohorts in the plane of axes 4 and 5. 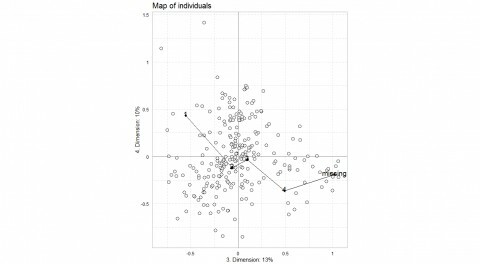 Joint analysis of all individuals.